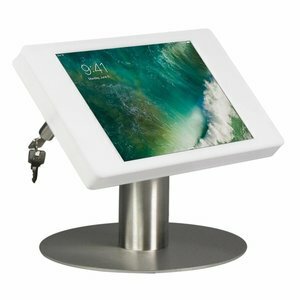 Tabletdisplaystandshop respects the privacy of all users of the site and ensures that the personal information you give us is confidential. We use your information to process orders as quickly and easily as possible. For the rest, we will use this information only with your permission. Tabletdisplaystandshop will not sell your personal information to third parties and will only make them available to third parties that are involved in processing your order. To make shopping at Tabletdisplaystandshop as pleasant as possible, we store with your consent personal information and the details regarding your order and the use of our services. This allows us to personalize the website. We use your email address to inform you about the development of the website and special offers and promotions. if you don't want this, you can unsubscribe at our website. 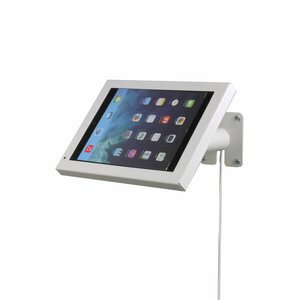 If you place an order with Tabletdisplaystandshop we keep, if desired, your data on a secure server. You can specify a username and password so that your name, address, telephone number, email address, shipping and payment information, so you do not need any new orders to fill. If you respond to a promotion or contest, we ask your name, address and email address. We use this information to perform the action, to disclose the winner (s), and to measure the response to our marketing efforts. We obtain the information above because you provided this information to us when placing your order or when you subscribed to our newsletter. What rights do you have with regard to this data? The General Data Protection Regulation has given you a number of rights with regard to the personal data that you have processed by us. 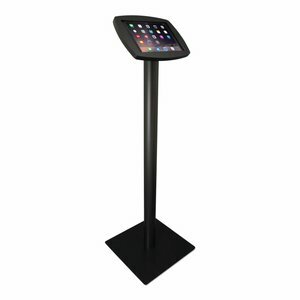 Access - You can request at Tabletdisplaystandshop to view your details at any time. Change - If you want your information to be adjusted, corrected, supplemented, protected or removed, you can submit a request for this. You can also change some details yourself in your personal account on our website. Objection - You may object to the processing of your data with the legitimate interest of Tabletdisplaystandshop as a legal basis. Data transfer - If you want to transfer your data to another provider, Standard Store will provide your data in a structured and current form that can be accessed by conventional digital systems. Withdrawal - When we have processed data based on your explicit consent, you have the right to withdraw this permission. Deleting your data may affect the services we can provide you. To use your rights you can send a request to info@mysleeve.world. We will deal with your request as soon as possible. If we are unable to meet your request, we will let you know why your request can not be processed. Tabletdisplaystandshop will not sell your personal information to third parties and will only make it available to third parties that are involved in processing your order. Our employees and third parties engaged by us are obliged to respect the confidentiality of your data. This website uses different types of cookies. Below is a brief explanation for each species. Analytical cookies - These cookies enable the user behavior of visitors to the Website to be kept completely anonymous. Based on this, analyzes are made that ultimately contribute to the Website's connection with the wishes of the visitors. The impact of these cookies on the privacy of the visitor is so small that no permission is required. Functional cookies -These cookies ensure that the Website works as it should and certain data or preferences should not be re-entered at each visit. For these cookies, too, they imply a minor violation of the privacy of visitors so that no prior permission is required. Profiling cookies - In order to be able to show advertisements that are relevant to users of the Website, Tabletdisplaystandshop and third parties place cookies that collect information on the basis of prior visits by the user on various websites. By using the Website, as indicated in the cookie notification, the user agrees to the placement of these cookies. Social Media Cookies - On this Website buttons are included to promote or share pages on social networks. These buttons are realized by code that is supplied by those social networks themselves. This code places, among other things, a cookie. Read the privacy statement of those social networks (which can change regularly) to see what they do with your personal data that they process with this code. Tracking cookies - With tracking cookies the surfing behavior of users of the Website is followed. The data includes analyzes for improving and optimizing the Website. The information gathered by us and third parties is also used for placement of advertisements. By using the Website as indicated in the notification, the user agrees to the placement of these cookies. Other cookies - Due to the operation of the internet, we can not always check which cookies are placed by third parties via the Website. This means that the list of cookies that are used is not always up-to-date or that cookies are placed with different purposes than those described above.